Long commutes may be a frustrating facet of workers’ everyday lives, but new research released by the American Journal of Preventative Medicine (AJPM) shows that the impacts may be far worse for our physical and mental health than first thought. Our cities are getting bigger and more expensive, which means people are moving further away from CBD’s. We now see a higher percentage of the population travelling further, spending hours every day commuting to and from work. In Melbourne it is estimated the average adult spends approximately two hours every weekday in transit to and from their employment. Such as twenty four year old Matt Heenan, who spends over two hours in his car travelling to work five days a week. “I just sit in traffic, it’s terrible, but I have no choice,” says Heenan. Long commutes are found to be associated with a decrease in cardio-respiratory fitness, increased weight and high blood pressure. “Long commuting distance is a contributor to sedentary behaviour in employed adults,” explains Dr Christine M. Hoehner from Washington University. Those travelling on public transport account for twenty percent of Melbourne’s population, or 1.7 million passengers every day. Barista Adam Percy spends over two hours every work day on public transport. “I spend so much time waiting for and travelling on trams, trains and buses; it doesn’t give me much time to get to the gym. I’m so exhausted by the end of the day,” Percy explains. 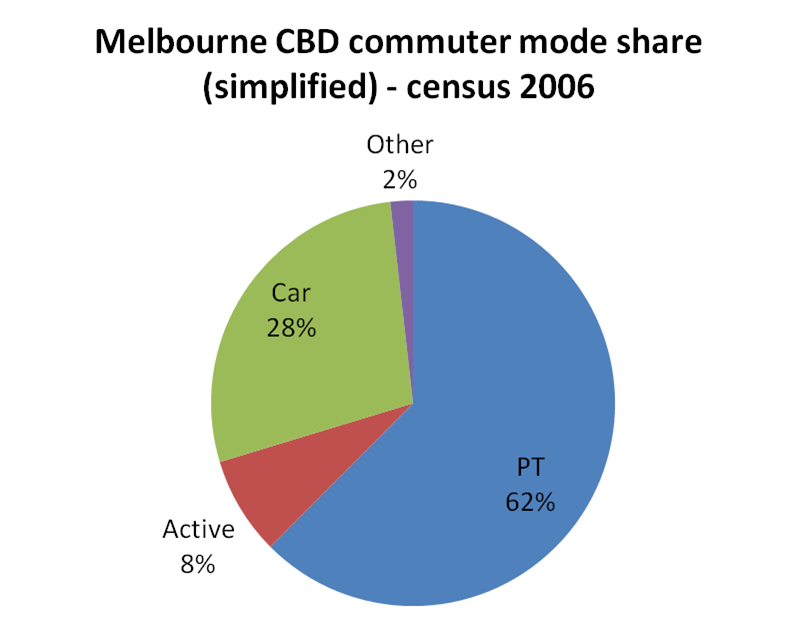 Within the Melbourne CBD itself, 62% of workers journey to their jobs on trams, trains and buses; whilst 29% come by car. But sedentary behaviour doesn’t only have an impact on commuters’ physical health, the report from AJPM shows that long commutes can affect mental wellbeing also. “Long commutes may lead to a reduction in overall energy expenditure,” notes Hoehner. Mental exhaustion can be caused by lower serotonin levels in the brain, the chemical produced by the body when exercising. The AJPM study found that people who drove longer distances to work reported less frequent participation in physical exercise and high rates of mental exhaustion. “Sometimes I arrive at the office feeling like I’ve already worked an entire day after fighting the traffic just to get here,” says Natalie Kocovski, a 25 year old, full time employee who spends up to three hours every day in transit. Whilst there may be no way for the majority of workers to avoid long trips to and from their jobs, commuters can be mindful about the importance of engaging in some physical and relaxation activities when possible for overall better health outcomes. Matt Welsh visits the Geelong campus to promote health and well being among the student body. Mari Mjelde puts on her running shoes to keep up with the story.